Gloria London received her Ph.D from the University of Arizona. She is the author of Ancient Cookware from the Levant (2017, Equinox), Traditional Pottery in Cyrpus (1989, Philipp von Zabern), creator of a video Women Potters of Cyprus (2000, Tetraktys), and co-creator of the Museum of Traditional Pottery in Ayios Dimitrios (Marathasa), Cyprus. Ancient clay cooking pots in the southern Levant are rough in texture and not easily associated with meals known from ancient writings or iconographic representations. To narrow the gap between excavated sherds and ancient meals, the approach adopted in Ancient Cookware from the Levant starts by examining the way food is traditionally processed, preserved, cooked, and stored in clay containers. This research is based on the cookware and culinary practices in traditional societies in Cyprus and the Levant, where a handful of people still make pots by hand. Clay pots were not only used to cook or hold foods. Their absorbent and permeable walls stored traces or memories of food residue and bacteria. As a result, clay jars were automatic yogurt makers and fermentation vats for wine and beer, while jugs were the traditional water coolers and purifiers. Dairy foods, grains, and water lasted longer and/or tasted better when stored or prepared in clay pots. Biblical texts provide numerous terms for cookware without details of how they looked, how they were used, or why there are so many different names for them. Studies of potters carried out over the past century in the southern Levant provide a wealth of names whose diversity helps to delineate the various categories of ancient cookware and names known from the Bible. Ancient Cookware from the Levant begins with a description of five data sources: excavations, ancient and medieval texts, 20th century government reports, early accounts of potters, and ethnoarchaeological studies. The second part of the volume focuses on the shape, style, and manufacture of cookware for the past 10,000 years. For archaeologists, changes in cooking pot morphology offer important chronological information for dating entire assemblages, from Neolithic to recent times. The survey of pot shapes discusses the way the different shapes were made, used, and cleaned. Ancient clay cooking pots in the southern Levant are unappealing, rough pots that are not easily connected to meals known from ancient writings or iconographic representations. 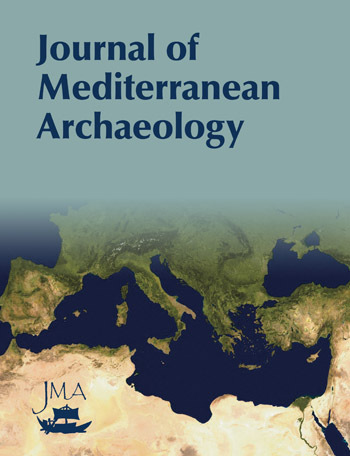 To narrow the gap between excavated sherds and ancient meals, the approach adopted in this study starts by learning how food traditionally was processed, preserved, cooked, stored, and transported in clay containers. This research is based on the cookware and culinary practices in traditional societies in Cyprus and the Levant, where people still make pots by hand. Clay pots were not only to cook or hold foods. Their absorbent and permeable walls stored memories of food residue. Clay jars were automatic yogurt makers and fermentation vats for wine and beer, while jugs were the traditional water coolers and purifiers. Dairy foods, grains, and water lasted longer and/or tasted better when stored or prepared in clay pots. Biblical texts provide numerous terms for cookware without details of how they looked, how they were used, or why there are so many different words. Recent studies of potters for over a century in the southern Levant provide a wealth of names whose diversity helps to delineate the various categories of ancient cookware and names in the text. Ancient Cookware from the Levant begins with a description of five data sources: excavations, ancient and medieval texts, 20th century government reports, early accounts of potters, and ethnoarchaeological studies. The final section focuses on the shape, style, and manufacture of cookware for the past 12,000 years. For archaeologists, changes in cooking pot morphology offer important chronological information for dating entire assemblages, from Neolithic to recent times. The survey of pot shapes in Israel, Palestine, and Jordan presents how different shapes were made and used. Ancient cooking pots are easily recognizable by their coarse crumbly texture. Nothing about these unappetizing, rough pots makes them easy to associate with meals known from ancient writings or iconographic representations. While numerous ancient texts mention meals, in almost every culture, drawings or narratives of feasts portray foods consumed by the upper echelons of society. What most people ate in tents, farms, and villages was rarely depicted graphically or preserved archaeologically. Ceramics –along with preserved flora and fauna material — are one of the few material sources available to archaeologists that enable insights into ancient foodways and how the general population actually behaved, felt, and thought about food. Unlike ceramics, remnants of foods survive only through accidents or tragedies. Organic materials decomposes unless carbonized. Animal bones are fed to scavenging animals. As a result, cookware is often our only clue into the ancient meal and how it got to the table. To narrow the gap between the broken potsherd and the ingredients and flavours it contained, this comprehensive volume begins with how food was processed, preserved, cooked, and stored in pots in the ancient Near East, beginning in the Neolithic period. From the beginning, ceramic vessels were more than passive receptacles – they participated in turning grain and fruit into alcoholic beverages and milk into yogurt, butter, and other products that last for months. Unlike the sealed surfaces of modern materials, ancient pots were absorbent and permeable. Food residues became embedded in their porous walls, leaving memories of foods. Cooking pots were quintessential memory pots. They retain remainders of everything they held. To erase those memories required re-firing in kilns. Just as the smells and tastes of favourite foods stay with us for a lifetime, memories in pottery live for millennia. To address the interface between pots, texts, and daily life in antiquity, the book starts by looking at cooking practices in contemporary, traditional societies where modern conveniences such as electricity are not widely used. This research, known as ceramic ethnoarchaeology, relies largely the author’s own fieldwork. In all the book draws on five data sources: excavations; ancient and medieval texts; 20th century government reports; early accounts of potters; and ethnoarchaeological studies. The last 1/3 of the text is a ‘survey’ of Neolithic to current traditional cookware, gleaned from excavation reports, from the perspective of how it was made and used. The eastern Mediterranean Levant and Cyprus comprise highly varied landscapes, vegetation, climate, precipitation, and unique geographic features in small areas. Limited seasonal precipitation, a minimum of permanent water resources, and frequent drought years have contributed to a fragile ecosystem. Diversity of topography and vegetation, from the lowlands to mountains and deserts, nevertheless have made this seemingly challenging region hospitable for human occupation. Ancient texts from neighboring cultures offer a glimpse of what people ate or aspired to eat without details on how to cook food or how it should taste. The wealth of Hebrew words in the Bible for pots tells us little about how pots were made, used, or what was cooked in them. Since names of foods could change dramatically in a few hundred years, how can we define recipes or cooking practices thousands of years old, given the wide range of choices? Craft specialists worked full time seasonally during the dry months in a small number of villages, Kornos, Ayios Dimitrios, Kaminaria, and Fini. They sold regionally to the foothills and western coastal strip. The traditional, multi-dimensional industry included private potters working in their courtyards, members of a Cooperative who worked in a space reserved for the industry, and itinerant potters. The latter were both pitharades and Kornos potters traveling with families. Despite proximity to the coastal towns and the capital city, Kornos potters continued to manufacture traditional pots and no tourist pieces by the end of 20th century. In the Troodos Mountain communities, tourist items geared towards visitors who came for the refreshing cool summer air or to enjoy the winter snow formed a larger part of the late 20th century products than in Kornos. The archaeologist working in the American Southwest, J. W. Fewkes, introduced the term “ethnoarchaeology” over a century ago. Recent studies focus on any aspect of material culture, including ceramics. W. A. Longacre developed a long-term project in the northern Philippines to investigate rural potters who largely make pottery for their families and friends but trade or sell some as well. Building on Longacre’s research among “household” potters, research among traditional craft specialists in the Philippines and in Cyprus involves potters who use local raw materials to shape a traditional repertoire for use by the local population rather than for the tourist market. To record all aspects of pottery production, especially infrequent events, requires full-time residence in the villages. Pottery production is seasonal work limited to summer when dry clay, kilns, and fuel are available. Remote Troodos Mountain potters produced old-fashioned pots no longer needed in lowland towns or cities. Nuances in the fabrication and decoration reflect different workshops and lifestyle rather than chronological differences Although the Troodos and Kornos potters produce some of the same types of pots, they have village-specific decorative patterns and names for deep and shallow cookware as well as other ceramic containers. The traditional technique of clay preparation in all villages was identical until electrical equipment came to Kornos. Older practices for mining and preparing clay prevailed longer in the remote Troodos area. Potters or their spouses beat clay with a bent wooden stick and mixed clay in the traditional skafi. Kornos potters worked with a single red firing clay. In Ayios Dimitrios and Kaminaria, potters ideally combine two clays to benefit from the properties inherent in each, unless they shaped porous-walled jugs. The Kaminaria potter used red clay alone if white was not available. At no time did potters add anything other than water to prepare clays suitable for coarse ware ceramics of all shapes and sizes. In the past 50 years, clay sources have changed three times in Kornos, the major supplier of handmade pots to lowland consumers Pottery is made in a small number of rural communities, but during the winter, most evidence of its production vanishes as villagers repurpose their limited courtyard space to shelter animals. To shape pottery with coils and turning requires an interrupted manufacturing technique with drying intervals to allow the clay to slightly harden before more work is carried out. The turntable is used preliminarily to shape a flat bottom. Coils were added and pulled up or thinned with a split cane tool. Each stage of work varied in time, but during the height of the pottery-making season, when the air is dry and hot, it is possible to start and finish pots in one day. Cypriot potters who coil build coarse wares from local clays provide an ideal model for the study of ancient potters who hand build ceramic containers. Firing pots is the most risky stage of pottery manufacture. Traditional craft specialists who build pots by hand use a variety of kilns – soft temporary or hard permanent and pit or above-ground. They are highly successful. Pots that touch each other do not result in fire clouds. Smaller pieces can be stacked inside larger pots without resulting in fire clouds. Rate of loss is low for the Cypriot and Filipino potters observed in long-term fieldwork. Broken pots and sherds are scarce at production locations for many reasons, including sherd reuse and the overall low rate of misfires or wasters. The final firing color varies depending on placement in the kiln, temperature, and the length of firing. The work of a single potter or more than one often fires together in the same kiln for many reasons. If necessary, pots can be refired in a kiln to enhance their color or hardness without damage. Another reason to refire pots is to burn out foods absorbed by their porous walls. Given that pits and temporary firing platforms leave hardly any trace and given the dismantling of permanent kilns once a potter stops working, few will be available for archaeologists to excavate. Low-fired clay cooking pots have porous walls that absorb minute food particles. To minimize food residue, ethnoarchaeological studies provide details of temporary and more permanent methods to season, pre-treat, or line pots to reduce porosity. The reapplication of organic linings was necessary each time cooking pots were used. Jars with solid linings, such as resin, bitumen or tannin were retreated annually, due to the acids that caused deterioration of seemingly solid surface treatments. Traditional cookware and water containers were well-suited to meet the needs of villagers and townspeople. Other pots, especially water containers, were valued for their ability to sweat. Medieval-era recipes acknowledge the usefulness of old pots with walls saturated with oil proved useful for storing cheese and other foodstuffs. Bread baking was highly varied, as evidenced by the different shapes, grains, and baking techniques for leavened or unleavened varieties. Traditional ceramic bread moulds, plain or simple, have ancient counterparts. Several cooking and baking techniques do not require pots or permanent ovens but rely on organic materials that will not be preserved. Roasting grain at night, after cooking the daily meal, was a sensible use of a dying fire in traditional societies and perhaps in antiquity. Jars could hold either wine or oil, but not both. Traditional plates to bake and serve pitta resemble their ancient counterparts. There was a close connection between pot shape and the foods cooked or processed in them. Traditional Cypriot pottery includes specific containers suitable for meat and a completely different set of pots for dairy foods. Efficient and inexpensive ceramic containers were necessary to process and preserve a wide variety of foods for long and short-term storage. The memory of fermented foods, including dairy, wine, and beer that was retained in porous clay walls made ancient pots ideal for making yogurt, soup, and other milk products. The pot walls embedding the memory of yogurt made processing excess milk easy in the absence of refrigeration. Jugs and jars of all sizes functioned as refrigerators and filters for water. Oils, birds, and wine benefitted from processing and/or storage in clay pots. Repurposed jugs and jars can be found in any type of deposit once the pottery could no longer perform its original function. Beer, wine, sugar, sweets made from fruit, salt, meat, rosewater, fish, and animal by-products like fats were at one time or another processed, preserved, or stored in ceramic containers. Memories of foods trapped in the clay pots were critical in the fermentation and preservation of alcoholic beverages in particular. The cooling ability of clay pots may have made them potential containers to transport fresh fish from the coast to inland sites. Beer was a nutritious and relatively germ-free beverage consumed by the entire family. Natural materials to clean clay pots in traditional societies use some of the same antibacterial ingredients sold to this day. Ethnoarchaeological research demonstrates that biblical and medieval texts can be understood to refer to safe practices for cooking and cleaning pots. People responsible for daily food preparation in antiquity and in traditional societies knew not to use dairy pots for meat, regardless of religion or ethnic origin. Texts from classical and medieval times encourage people to use clean pots. In this context, the kosher laws can be understood as advice for cooking for large groups of people at special occasions, when the usual precautions might have been overlooked, given the need to prepare food for so many. Ancient and traditional societies not only are better able to reuse artifacts, they also knew how to reduce their footprint and eliminate unwanted artifacts better than our own society. Clay pots, both large and small as well as open and closed, were suitable for the processing, preparation, cooking, storing, and serving of food. In Cyprus, ovens begin as fired pots that are placed on their side and encased in mud and brick. The same oven could bake breads, meat and vegetables in deep globular cooking pots. Cookware in particular was multi-functional and was used for many of the processing activities related to food. Round bases were beneficial in traditional and ancient societies. Flat-bottomed ceramics are less desirable for multiple reasons. Bases round or flat can be manufactured in a number of ways. Bases often preserve evidence of how the pot was made, in contrast to well-smoothed rims and upper bodies. While people accustomed to flat stoves and flat-based pots are dubious about round-bottomed pots, stands made of wood, clay, reused pots, and metal easily accommodate traditional and ancient pots. With a short uselife of slightly over two years and the rapid replacement of cookware, archaeologists nevertheless can detect features characteristic of each time period. An analysis of overall vessel proportions and morphological features might lead to even further differentiation within each time period. There has always been a limited way to make traditional pottery: pinch pots, coils, slabs, paddle and anvil, moulds, turning, and wheel-throwing. Round and flat bases can be made using any of these techniques. Round bottoms often begin flat unless they are made with a mould. Rims are usually finished at an early stage in the work, while bases are completed as the final step. More rim sherds than bases are preserved archaeologically; unfortunately, they offer less information on overall pot manufacture than bases and lower bodies. Clay preparation can involve nothing more than pounding the clay and mixing it with water. At other times, it involved the removal and/or addition of material, known as inclusions, temper, non-plastics, filler, or grits. Most ancient fabrics have clay bodies comprising over 40% inclusions. To create fabrics with a single predominant non-plastic intentionally required effort. Until Classical times, ancient potters in the Levant often used clay as it was found in nature after removing the largest rocks, but to make cooking pots, they preferred a coarse textured clay body with abundant, often calcareous inclusions. Surface treatments varied for ancient and traditional cookware. In the Levant, plain and smooth exteriors predominated, until ribbed surfaces began in the Classical era. Smudging may have been intentional, especially during the Early Bronze Age III. Surface treatments and accessory pieces depend on the raw materials used, the manufacturing process, firing techniques, and cultural preferences. Changes in pyrotechnology alone can end a tradition of handles and spouts. Round bases present ample advantages over flat bases to manufacture, dry, fire, use, heat, and clean. The burnished surface of the earliest and latest pottery manufactured in the southern Levant attests to its suitability for local clays. Ancient clay cooking pots in the southern Levant are rough in texture and not easily associated with meals known from ancient writings or iconographic representations. To narrow the gap between excavated sherds and ancient meals, the approach adopted in Ancient Cookware from the Levant starts by examining the way food is traditionally processed, preserved, cooked, and stored in clay containers. This research is based on the cookware and culinary practices in traditional societies in Cyprus and the Levant, where a handful of people still make pots by hand. Clay pots were not only used to cook or hold foods. Their absorbent and permeable walls stored traces or memories of food residue and bacteria. As a result, clay jars were automatic yogurt makers and fermentation vats for wine and beer, while jugs were the traditional water coolers and purifiers. Dairy foods, grains, and water lasted longer and/or tasted better when stored or prepared in clay pots. Biblical texts provide numerous terms for cookware without details of how they looked, how they were used, or why there are so many different names for them. Studies of potters carried out over the past century in the southern Levant provide a wealth of names whose diversity helps to delineate the various categories of ancient cookware and names known from the Bible. Ancient Cookware from the Levant begins with a description of five data sources: excavations, ancient and medieval texts, 20th century government reports, early accounts of potters, and ethnoarchaeological studies. The second part of the volume focuses on the shape, style, and manufacture of cookware for the past 10,000 years. For archaeologists, changes in cooking pot morphology offer important chronological information for dating entire assemblages, from Neolithic to recent times. The survey of pot shapes discusses the way the different shapes were made, used, and cleaned. Round and even flat-bottomed jars with holemouth rims and soot on their bases were used for cooking. They likely were not the earliest cookware in the Levant. The first Neolithic examples have probably not survived. If early cooking pots were fabricated from clay bodies without calcite and low fired, they were unable to resist repeated thermal stress and their likelihood to survive was in jeopardy. In contrast, baking trays were thick enough to survive although they are highly fragmented and in poor condition. Spouted vessels were used to milk goats and to distill or process foodstuffs. Chalcolithic-era churns are clearly associated with processing dairy foods. Coil or mould-made ceramics in the Intermediate Early Bronze Age IV/MBI period were not wheel-made but display thin walls. Globular cookware retained soot inside and outside. Spouted pots held some type of beverage or other food and could attest to goat-milking activities. Perforated cups may have been associated with processing dairy products. Round-bottomed pots at northern sites were manufactured in moulds, unlike flat-bottomed contemporaneous pots characteristic of southern sites. Late Bronze Age society could not support potters who made thin vessel walls from carefully prepared clay. Cookware at coastal sites was highly varied and reflected increased international connections. For the first time, carinated cooking pots appeared alongside globular pots. Both types were made in a mould. Egyptian-style “flower pots” and “beer bottles” attest to foreign influence, presence, and impact on local foodways. Decorated baking trays and/or griddles also were made in moulds. The scoop, an intentionally asymmetrical bowl-like form, made its first appearance. Cookware was often made of clay designed to withstand heating. More than one cookware fabric has been identified at individual sites, which is a trend that expanded in subsequent periods. There is little doubt that despite its bulk, cookware was traded – either empty or filled with food. 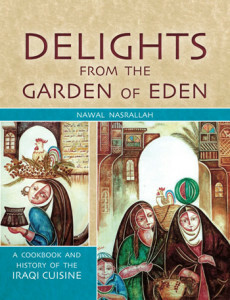 In the Persian era, large shallow mortaria associated with food preparation joined the globular and bag-shaped deep pots as part of the kitchen repertoire. They were traded over long distances via sea routes but did not reach inland sites. In Transjordan, grinding bowls resembling stone mortars were in use. A closed jar or amphora, possibly used to transport fresh fish, may have functioned as a “cooling” container brought from the coast. Scoops, trays, and graters were likely used in other periods but have not been preserved. At Hisban, the shift from calcite to quartz temper for cookware was completed by the Persian era. The same shift for jars, jugs, and other types of pottery followed. It would seem that potters who made cookware led the shift, which was followed by potters who made the rest of the ceramic repertoire. Red, often ribbed “Brittle Ware” was mass-produced in Roman and Byzantine-era workshops and factories in Lebanon, Cyprus, and the southern Levant. During Byzantine times, Italian influence introduced flat and shallow cookware, such as casseroles and frying pans. Thin-walled, hard, brownish-red or gray, and smooth coarse cookware was made in multiple production locations in the Galilee or the Golan. One-handled cooking jugs with various rims were made of cookware fabrics that varied regionally. Open, shallow baking and frying pans (with handles) never out-numbered deep cookware. An accidental glaze on cookware south of the Dead Sea was a fleeting occurrence. The Middle Islamic-era ceramics industry was divided between wheel-thrown vessels, some of which were glazed, and handmade coarse wares, plain, painted, slipped, or burnished. Deep globular pots never lost their prominence. HMGP and sugar pots joined the repertoire. Regardless of Fatimid, Crusader, or Mamluk rulers, local ceramic traditions prevailed. Crusader- era imports and exports demonstrate that cooking pots were traded across long distances. Beirut cookware reached coastal and inland sites. Mamluk-era texts reveal that household kitchens were rare, perhaps as in antiquity. During Ottoman times, emphasis moved further from glazed and imported wares to handmade pottery, especially for kitchenware and cookware, a trend that continued from Mamluk times. Handmade deep globular and shallow pots, casseroles, pans, trays, cooking bowls, and other forms were local products. In addition to deep cooking pots and milk containers, GGW wheel-thrown mortars or grinding bowls were used for grating and serving food. Despite the efficiency of glazed cookware, handmade pottery never ceased completely but was always practiced in rural locales, where people made what they needed. GGW pottery continues into the 21st century and provides a recent example of fragile, breakable wares traded long distance, across mountains and the deep Rift Valley. Wheel-thrown pottery made in small workshops of family potters persisted into the 21st century for three reasons: low cost, functionality, and nostalgia. Pots made in Rashia al-Fukhar, Jaba‘, Hebron, Gaza, Nazareth, Kerami, Zizia, and Jerusalem were relatively inexpensive because they were made from raw materials that were free for the taking. People profess a fondness for water stored in clay pots and foods cooked in clay pots. Clay jars and jugs keep water cool and filter bitter minerals. Jugs and jars were traditional refrigerators and water filters that operate without electricity or a generator. When they stop working, they were inexpensive to replace. One young Cypriot man came to Kornos village in 1986 looking for a cooking pot. A lengthy discussion with the potters developed because he was not interested in the four types of cooking pots they offered. He remembered a different shape. It was his hope that with the right cooking pot, his Australian wife could replicate the taste of foods made by his mother. The shift of certain larger traditional jars, ovens, beehives, and goat-milking pots from kitchens into gardens or cemeteries and from functional to decorative pieces has preserved the traditional industry into the 21st century. In Jordan as in Cyprus, people can acquire the full range of modern appliances made in factories. Nevertheless, there is a place for old-fashioned clay pots that remind us of home, our youth, and family. No pots fill this need better than clay cookware and water jugs. When the older generation is asked why traditional pottery remains in demand, invariably people give two reasons: the food tastes better when made the old-fashioned way, and everyone wants children and grandchildren to experience food that tastes good. Handmade pottery has proved remarkably resilient. It has survived into the 21st century at a handful of villages in the Levant and Cyprus. The Arabic names for traditional cookware, other pots, and household artifacts made of clay vary considerably within the small region of the Levant. Greek names vary across the island of Cyprus. The variety and abundance of contemporaneous terms in two small areas, Cyprus and the Levant, mimics the large number of words for cookware mentioned in the Hebrew Bible. Variation in the ancient terminology likely results from many subtle distinctions concerning how and where pots were made and finished, by whom, and how they were used to heat meat or dairy foods. In addition, diachronic and regional preferences add to the wealth of names for cooking pots used daily and for special occasions when the family and community came together. We started with clay from the earth, followed by the processing, shaping, finishing, and firing of pots before their distribution to consumers, who used them to process, preserve, store, and cook food. The perspective from pot-maker to pot-user shows modifications in all aspects of manufacture: fabric composition, manufacturing technique, vessel shape, surface treatment, and firing, over seven or eight millennia. New manufacturing techniques inspired and required new tempering materials and experimentation, yet old ways did not disappear quickly or vanish entirely – especially not for round-bottomed cookware. Two resilient and practical traditions for handmade pottery that began in the Early Bronze Age, burnishing and calcite temper, eventually acquiesced to wheel-thrown pots and quartz fabrics in the Late Iron Age/Persian Period. Nevertheless, local, traditional limestone-rich fabrics remained part of the repertoire, especially for large vats and basins that were made with coils or slabs. From medieval times onward, potters resorted to the same Bronze Age practices because they provided practical solutions for local clays. All potters in the southern Levant, who built containers with coils, moulds, or slow-moving turntables, confronted the same challenges, regardless of the time period. Rather than a revival of earlier traditions or direct continuity, the persistence of calcite temper in burnished, handmade cookware represents indigenous potters responding to the intrinsic limitations of the local clays with the same ageless solutions. Ancient Cookware from the Levant is a key piece in the puzzle of ancient food preparation in the southern Levant and is a necessary addition to any library or collection on the subject. L.’s ethnographic observations lead to a convincing explanation for the prohibition of cooking a kid in its mother’s milk, and she demonstrates how continuity and change in pottery are due to the practicality and functionality of cookware, rather than historical, social or political change. A valuable and rigorous contribution to the archaeology of the Levant. The book is an important supplement which should be essential reading not only by archaeologists who specialise in ceramics but also by anyone who studies the biblical world. 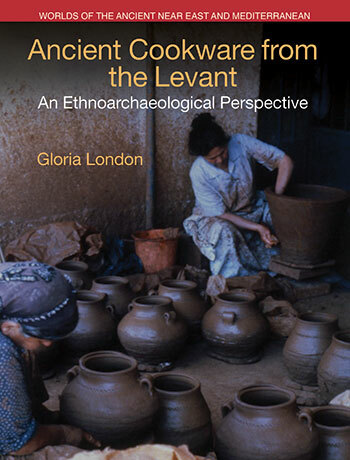 Ancient Cookware from the Levant is an extraordinary volume that brings together decades of ground-breaking research by one of ethnoarchaeology’s most notable and accomplished ceramic experts. High production values and copious illustrations make this a volume of standout quality destined to become a fundamental reference text for ceramics specialists of the ancient Near East and beyond.